Many Meals On Wheels West clients enjoy the companionship of pets. People with pets feel less isolated, are happier and healthier. 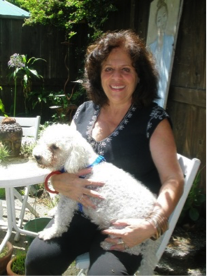 Meals On Wheels West cares and helps keep our clients and their beloved companions together. 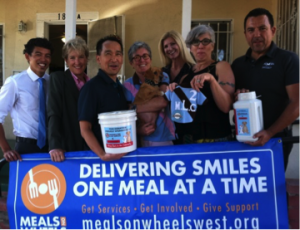 Thanks to the leadership of Carson Bond and MOW West Advisory Council, Meals on Wheels West is providing our clients with pet food. 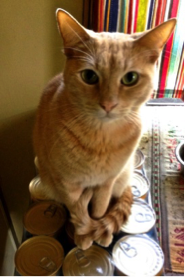 We learned that 80% of seniors who own pets shared their meals often feeding them before they ate themselves. It is important that both people and pets eat properly and pet owners do not share their food with their beloved pets. MOW West is now providing emergency vet care to the four-legged friends of our current clients thanks to the generosity of our donors.